℗&© 2006 Betty Nansen Teatret. (As stated on cover). ℗&© 2007 Betty Nansen Teatret. (As stated on disc). Track 13 is a hidden track, the music starts at 2:53. 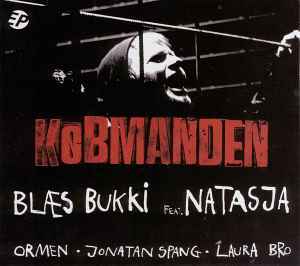 Soundtrack from the Danish stand-up comedy show/musical "Købmanden", freely written on basis of Shakespeare's operetta/musical "The Merchant Of Venice". Was performed February 24 - April 30, 2007 at Betty Nansen Teatret, Frederiksberg, Denmark.